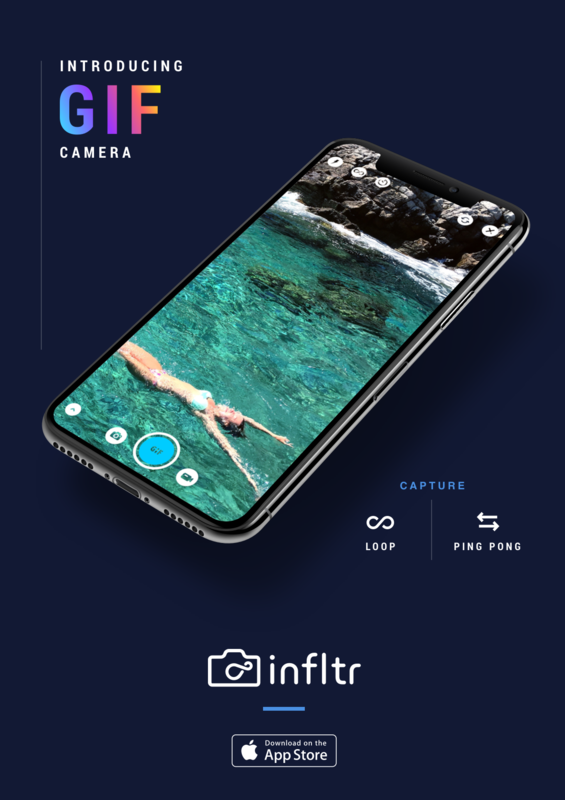 Popular photo editing app infltr has received an update, adding a number of new features, adding the ability to shoot GIF animation, new editing tools, and more. The new GIF mode allows users to select the speed and length of the GIF, and how it playsback, (looping or “ping-pong” playback.) The new capturing feature’s button sits next to the regular camera shutter button, and joins the app’s ability to capture Live Photos, depth photos, and raw photos. The app also now offers a new button in Camera mode that allows users to quickly reset all previously applied image adjustments. Support for HEIC & HEVC have been added. HEIC is the new image format that will be used instead of the old JPEG. For videos, the new coded HEVC (H.265) will be used instead of H.264. These new formats will save you 50% of storage without any loss in quality.